Jeff was introduced to theatre at a young age, enjoying such shows as The Phantom of the Opera, Les Miserables, and Cats. His love for live performance grew through watching various Fringe Festival and SummerWorks shows. Jeff loves the raw reality of theatre performance. He is drawn to the fact that there are no do-overs and there is no screen in between the audience and the performers. Theatre is as live and true as life itself. He maintains a website of his own at jtkwriting.com, that features his own stories and musings about the written word. 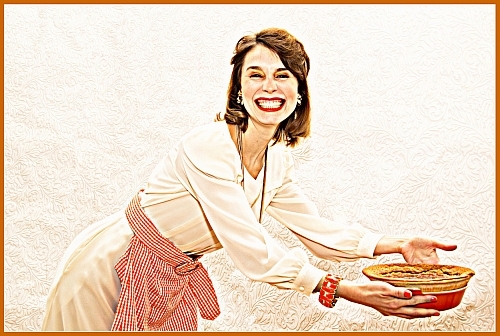 For the Love of Pie, produced by La Pelle en d’sous d’la Chapelle, is a playful tragic comedy in the Tarragon Solo Room at the Toronto Fringe Festival. The Night Joe Dolan’s Car Broke Down, currently on stage at The Alumnae Theatre, is part musical, part comedy, and part drama as per director Michael Hiller’s program notes. I was intrigued to see how all of these parts would coalesce, and enjoyed how everything came together for an entertaining show. 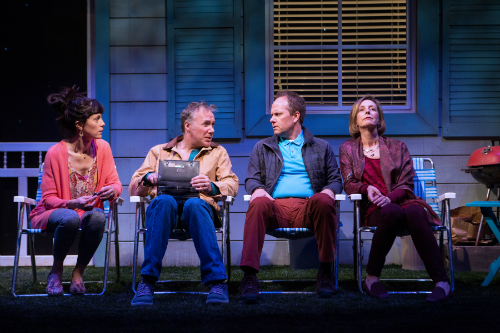 The opening night of Will Eno’s The Realistic Joneses, currently at the Tarragon Theatre, had me laughing with its quirky dialogue, feeling for its desperate characters, and wondering exactly how many words make up a life. Judging by the triple-encore ovation at its conclusion, I would hasten to guess everyone else in the Tarragon Mainspace enjoyed it as well. I was excited for The Circle, currently on stage at the Tarragon Extraspace, as I thought it was going to be a modern Breakfast Club experience. While the two stories share a couple of characters and themes, The Circle is a darker look into modern teenage life with the characters’ need for home, acceptance, and familial belonging at the forefront. 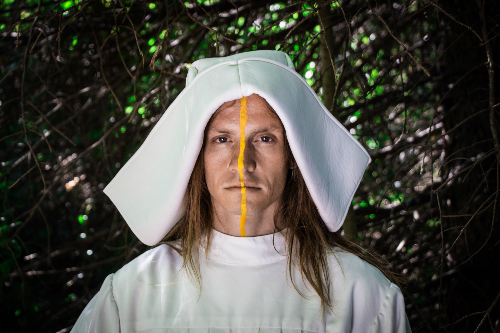 Birdtown & Swanville’s Even This Old Town Was A Forest, playing at The Theatre Centre, is a performance-driven tale of mystery, myth, misery, and survival. It’s funny though so don’t let those last four words turn you off. 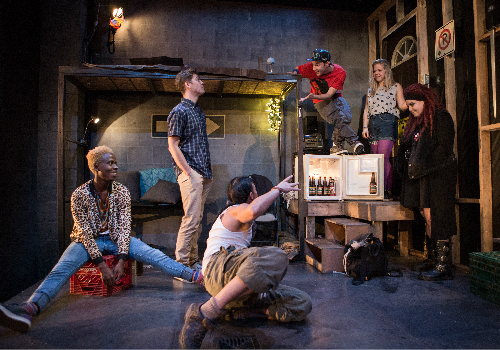 Theatre Lab‘s production of Jonny Sun’s Dead End — taking over the Factory Studio until October 23rd — is a funny tale of fear, friendship, and flesh hungry zombies. The show is a creative take on the zombie genre with its inspirational material not far from the surface. 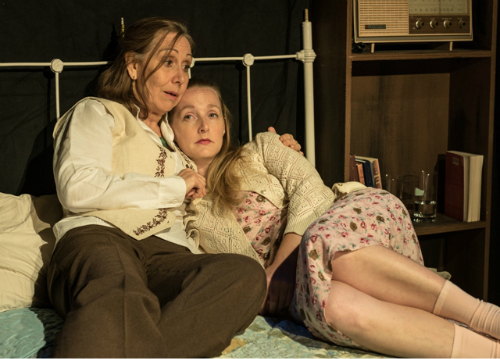 Shadowtime Productions’ Aunt Dan and Lemon, playing at the Theatre Passe Muraille Backspace, is a play with a message. It’s delivered by the title characters with a subtle smirk so as to have us contemplate our personal morality – and that of the human race as a whole – long after we leave the theatre. 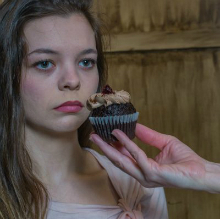 My first and last impressions of Kill Your Parents In Viking, Alberta were “wow.” The show is a co-production of the Storefront Arts Initiative and Blood Pact Theatre and currently plays at The Storefront Theatre. It is a dark comedy with focus on the highs and lows of three siblings meeting after the death of their grandmother. 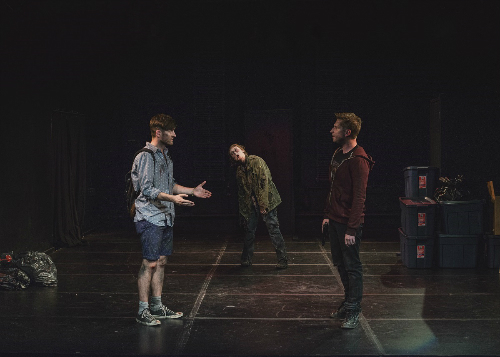 Composite Theatre’s I’m Not Here is a clever and polished production, playing at hub14 as part of the 2016 SummerWorks Festival. 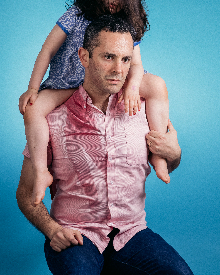 Adam Lazarus is both delightful and depraved in Daughter, a co-production of QuipTake and Pandemic Theatre, currently playing as part of the 2016 SummerWorks Festival at the Factory Theatre Studio.